If you take the time to make my Traditional Lasagna, please don’t skimp on the cheeses. It just won’t be the same. Ask my husband! 1. Pre-heat the oven to 350°. Lightly spray a deep lasagna pan with non-stick spray and set aside on a foil lined baking sheet. 3. In a large bowl, combine the ricotta and eggs, beating until smooth. Add the cottage cheese, 1 cup of the Parmesan, and parsley. Mix well, and set aside. 4. Spread a small amount of sauce, just enough to cover, in the bottom of the baking dish, then arrange 3 noodles lengthwise on top of the sauce. Arrange 1/2 of the sliced mozzarella over the noodles, then spread with 1/2 of the ricotta mixture and top with 1/4 of the remaining sauce. 5. Next, place 3 more noodles over the sauce and top with another 1/4 of the sauce, then 3 more noodles. 6. Repeat layering the rest of the mozzarella, ricotta, 1/4 of the sauce and 3 more noodles. 7. Finish the top layer with the last of the sauce and sprinkle on the remaining Parmesan. 8. 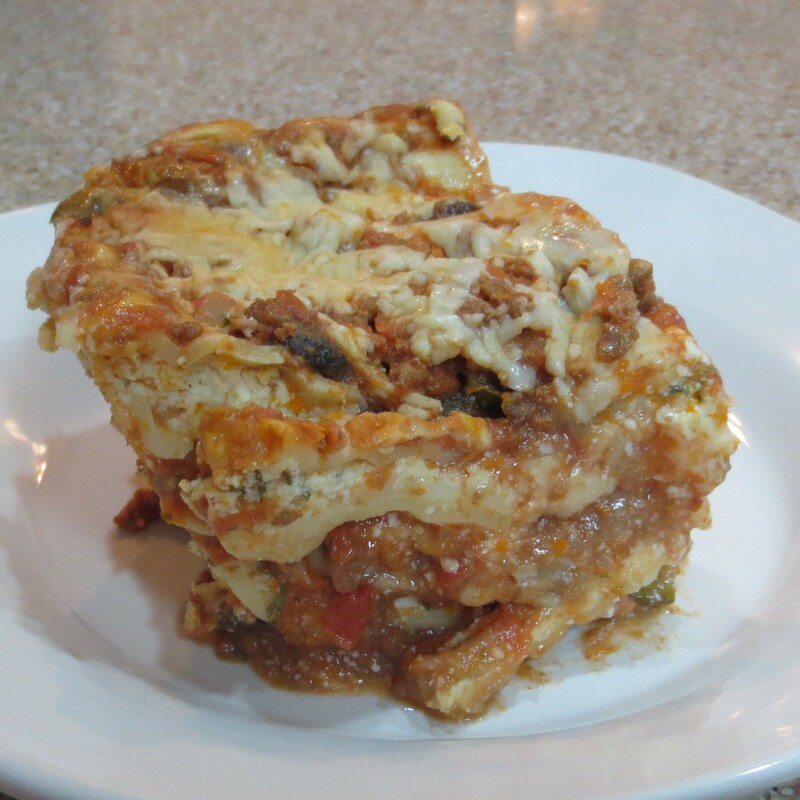 Cover the lasagna and bake for 45 minutes, then uncover and bake another 10 to 15 minutes to brown the top. 9. Let stand 15 more minutes, covered, before cutting.